While it is disgustingly warm around here the last few days, we do have some residents of the farm that seem to be enjoying the broken winter. 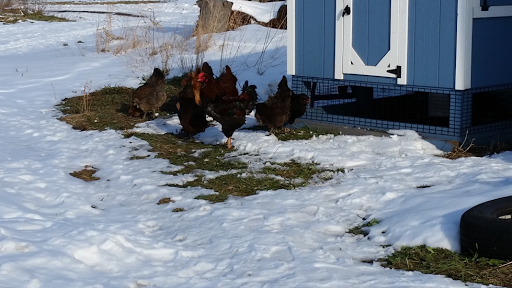 Although I have left the door open to the coop several times, Montgomery and the girls have been staying in the run area of the coop and barely poking their heads outside. Just enough bare grass to hold their interest. They have been enjoying these last couple days out in the open again.